A few weeks ago I had the honour of being interviewed by the lovely Valerie Khoo for her podcast So You Wanna Be A Writer. The theme of the chat was centred on the growth of my real estate copywriting business, Prestige Property Copy, and focused on how I managed to start (from zero clue!) through to now, where I enjoy being able to work with real estate agents all over Australia and assist them with their copywriting requirements. 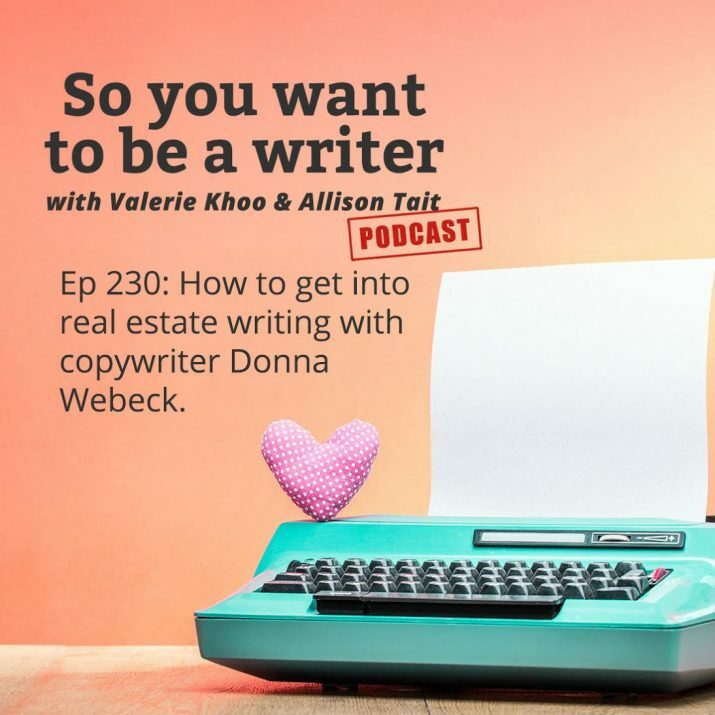 Valerie was actually the very first person I approached on the subject of just how exactly does one even become a real estate copywriter (as I honestly had no clue!). I’d completed her course through the Australian Writers Centre, Writing For Newspapers and Magazines back in 2011 and had been enjoying some success with a part-time freelance feature writing career, yet felt the urge to follow a true writing passion which centred on all things property. 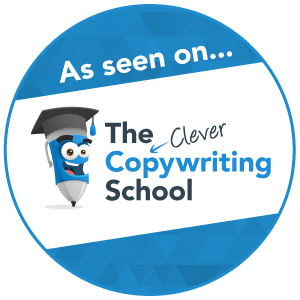 Under Valerie’s guidance, I undertook the Copywriting Essentials course, which I soon followed up with the Build Your Copywriting Business online learnings. Together these formed the ideal basis upon which to grow this seed of a business idea which has since flourished. Do you house a grand passion for all things property or a desire to be a real estate copywriting specialist? Why not take a listen to our chat (from the 29min mark) and hear for yourself how I made my dream into a reality. Now, it’s over to you! Do you harbour a desire to be a real estate copywriter, or are you one already? I’d love to know more about your journey to success so drop me a line or comment and let’s connect!